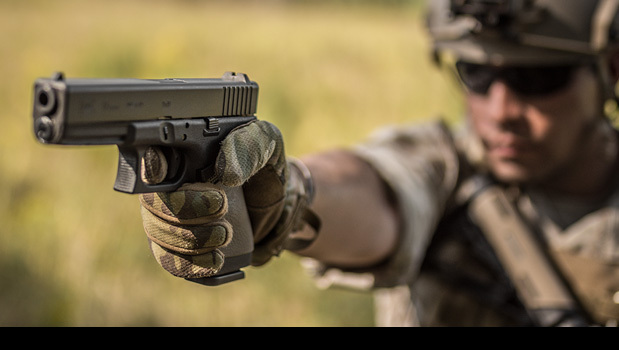 Hogue HandALL® grip sleeves are scientifically designed and patented with an innovative shape that hugs the contours of your firearm giving them the tightest and most secure fit possible. Features include: proportioned finger grooves, our distinctive cobblestone texture and ambidextrous palm swells that achieve the ultimate sense of security and comfort with a non-slip surface. Molded from our modern, soft, but durable rubber, HandALL grip sleeves are easily installed and provide years of dependable service. Fits Glock and most 45, 40, 10mm, 9mm, semi-automatic pistols.